A Step Ahead specializes in prescriptive, splints and braces for orthopedic and injury needs and upper and lower prosthesis. Located in Nashville, Columbia, Clarksville, Hendersonville and Murfreesboro, Tennessee, they offer bracing for management of all traumatic, post surgical, chronic, acquired, and congenital abnormalities. 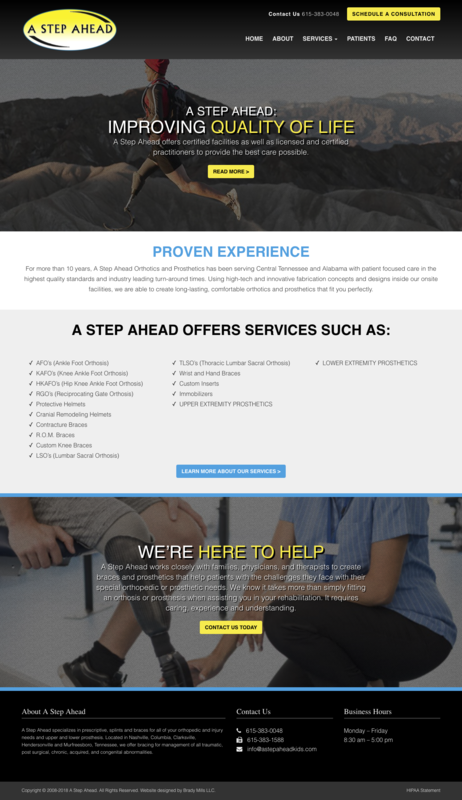 We designed and developed the company’s new website for both their adult orthotics & prosthetics division and their child orthotics & prosthetics. A Step Ahead’s homepage offers a quick peek at the company’s products and services. 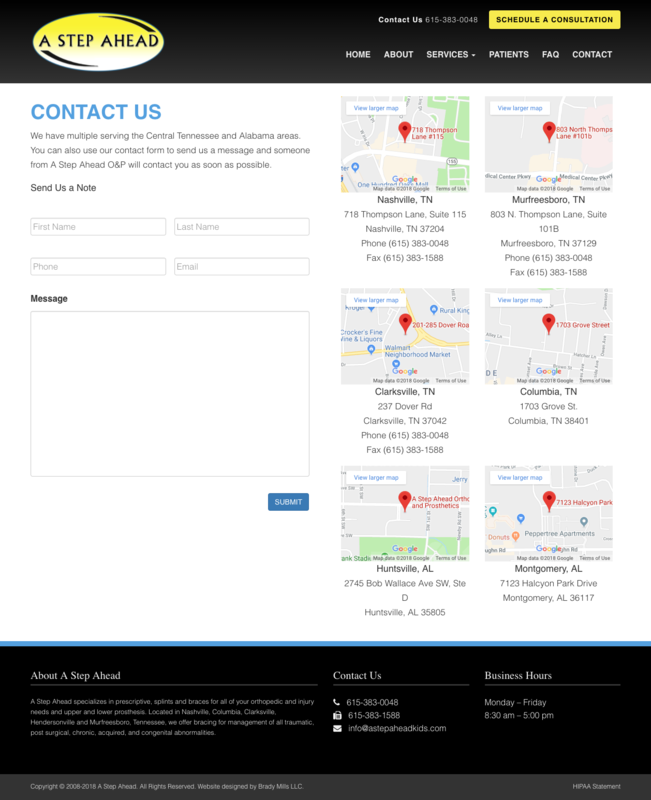 The company has several locations, which are shown on the contact page along with a general contact submission form.